If you do decide to hire a car, the hotel has eight spaces at a nearby carpark which can be reserved at a charge. 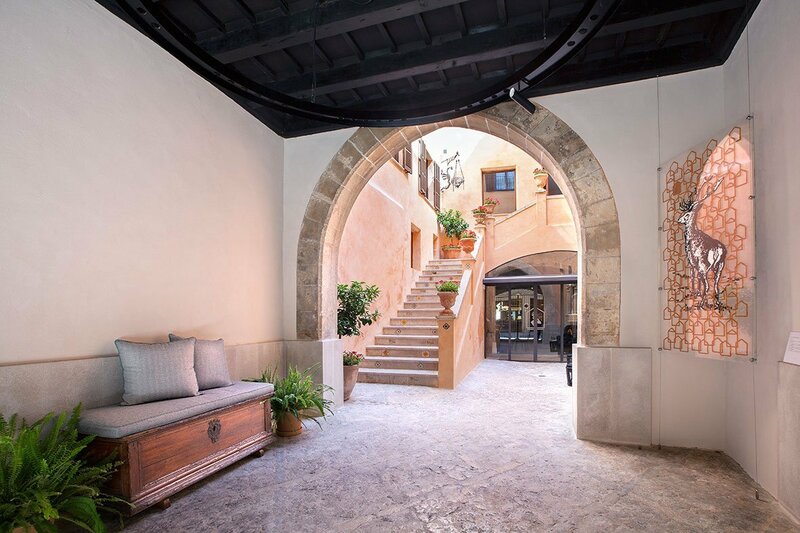 Tucked in one of Palma´s delightful little streets in the heart of the old town you will find Posada Terra Santa dating back to 1576. It´s location is hard to beat, just minutes from Placa Mayor with its bar, cafés and entertainers and a gentle stroll downhill will bring you to the Paseo Maritimo and the Bay of Palma. 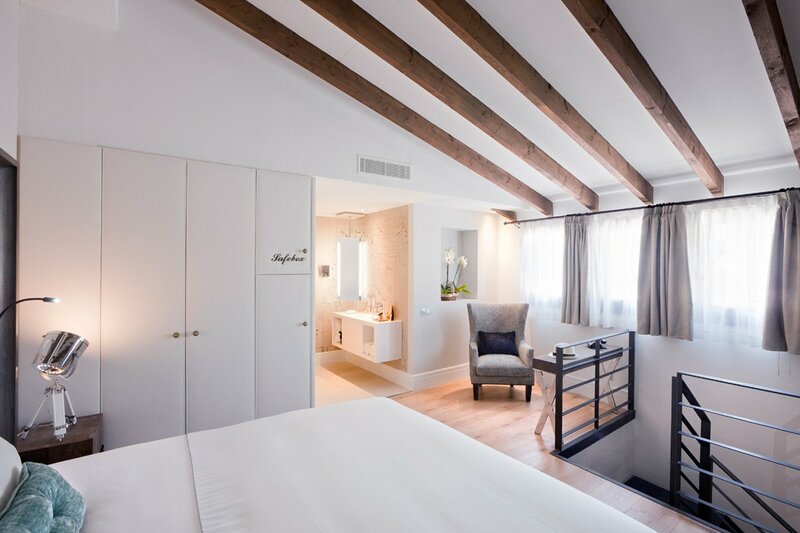 Once the grand stately home of the Barons de Boixadors with it´s medieval façade, its recent conversion into an urban chic hotel has been a resounding success, combining majesty with modernity. The bedrooms, which are set over 3 floors, are light, bright and airy, all decorated in neutral shades and luxury fabrics. Enjoy a four-poster bed in selected preference rooms or the two storey preference suite. Or, as an luxury low season traveller , treat yourself to the Baron suite, set over two floors with separate living room and really stretch out. 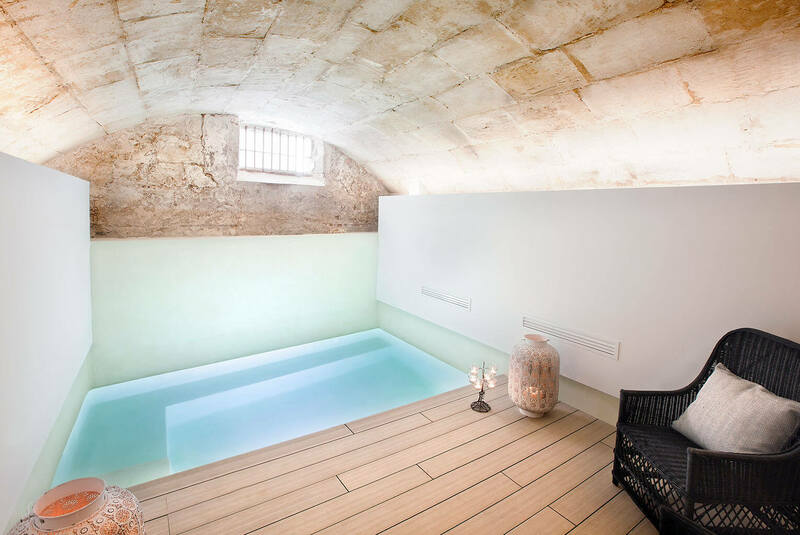 Just across from reception, you can take the stairs down, past a preserved grain store to a delightful spa area complete with indoor splash pool, sauna and treatment room, which can be booked exclusively during your stay, perfect for the cooler months. 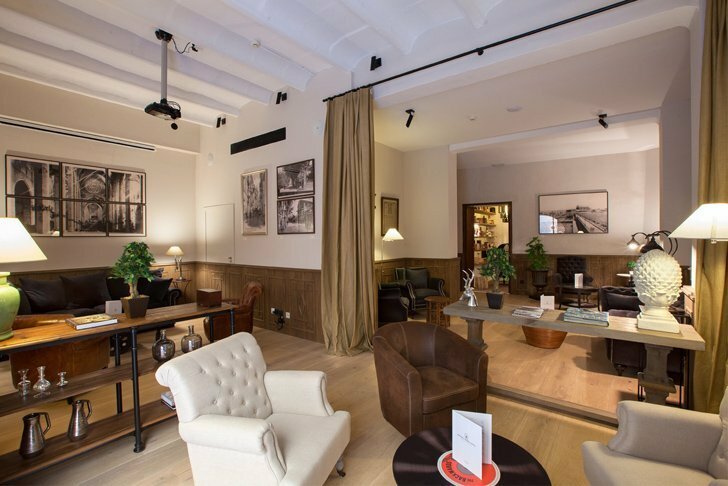 There is a lounge area on the first floor to sit and read, or, if you are seeking a hideaway, there is a sumptuous library on the ground floor with an honesty bar close by should you require a little refreshment. If you are feeling adventurous and want to buzz around town, the hotel has a couple of electric bikes you can hire for just €20 a day. This is a great boutique hotel in an excellent location and the welcoming staff are quiet rightly proud of the consistently outstanding reviews of service from TripAdvisor. La Despensa del Barón Restaurant with its gothic beams enjoys a very special ambience which is hard to beat. With the building dating back to the 16th century, your memory will be adding to its history. 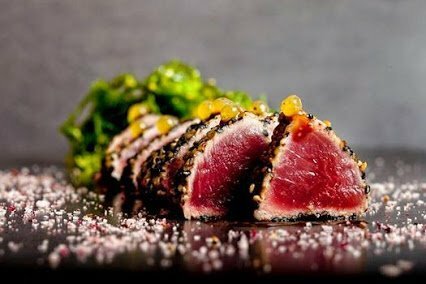 With a certificate of excellence chef and his team offer modern Mediterranean fusion fare, such as pulpo a la Galena with olive oil and mango and tuna tataki (the dish he is most well known for). 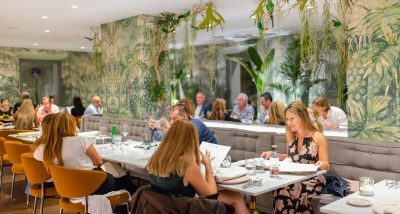 Whether you are a guest of the hotel or just visiting Palma, make a note to visit this truly unique restaurant. 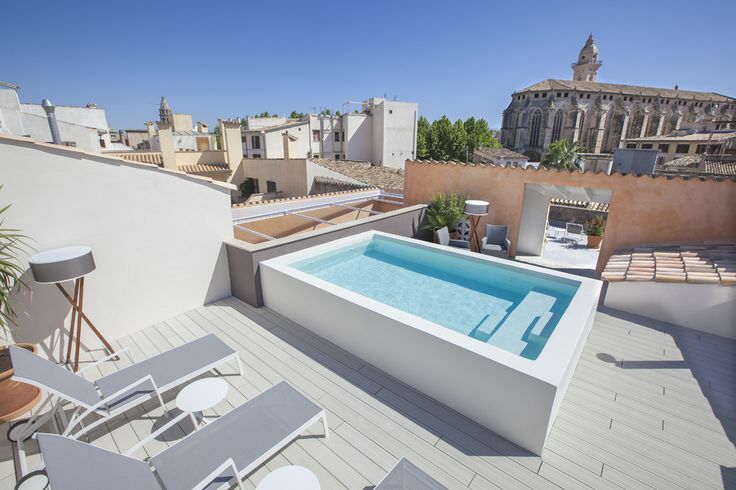 It has to be the luxury of a roof top pool and sun terrace. It is amazing to think that you are in the middle of a busy European city and yet at roof top level there is a cushioned calm and tranquility. At the push of a button, a staff member will deliver you a refreshment of your choice so that you can just relax and take in the view. Ahhh! Breakfast, which is included in the price, is a buffet served in the ground floor restaurant. You can serve yourself freshly- squeezed juices, breads and pastries or opt for the warm ´omelette selection` menu. La Despensa del Barón is open every day except Monday from 7.30pm to 10.30 pm. Images kindly provided by Posada Terra Santa .